Model academic integrity for students. Give credit and cite the original source on all handouts. Students in a class or course. A learning management system that is password-protected, restricted to NSCC students, faculty and staff. A College network that is password-protected, restricted to NSCC students, faculty and staff. The amount of content copied must be fair. NSCC faculty, staff and students should follow the NSCC Fair Dealing Guidelines when copying or sharing copyrighted works. one chapter or article from a work. Need to copy more than NSCC Fair Dealing Guidelines recommend? Please consult with your Campus Librarian for assistance. Copyright rights and responsibilities apply to your use of Brightspace. You have the same education users’ rights teaching in Brightspace that you have in the physical classroom; and the same responsibilities to use content in a manner that meets the conditions set in NSCC Policies and the Copyright Act. Full copyright protection is the default license attached to works. While facts are not protected by copyright, the expression or representation of facts can be. So be careful, copyright applies to all content you find on the internet (including photographs and visuals) as well as more traditional print and audio-visual sources. With the permission of the copyright owner. Educational institutions can transmit lessons to students in real time over the Internet or make a recording of a lesson available on-line. However, there is a requirement to remove access to the recorded lessons within 30 days of students enrolled in the course receiving their final evaluations. When the course is finished, instructors should remove their lessons and content from Brightspace, and save the files in a private location. When the course is offered again, create a new class in Brightspace and load the saved content. You may reuse the saved versions of lessons from previous courses. A digital lock is a technological protection measure (a password, or encryption) that restricts access to the content with the objective of protecting the content from copying. The Copyright Act prohibits breaking a digital lock. Always! The presence of a digital lock trumps all other rights. You cannot load a DVD into Brightspace. Consult with your Campus Librarian about alternatives. Use streaming video. Streaming video can be linked to or embedded into your Brightspace class. 4 databases to choose content from. You do not need to evaluate whether you can use the content. Your use is covered by a license. Streaming video on the web -- Lots of great options. When using an open platform like YouTube make sure the video it is not an infringing copy. A simple test is to look at who posted it. Was it posted by or with permission from the copyright owner? Need help in figuring out who posted the content? Contact the Copyright Office or your Campus Library for support. You can reproduce copyright protected content in order to display it for an educational purpose in the classroom. The right does does not apply if the work or other subject-matter is commercially available in a medium that is appropriate. meets the conditions for use of internet materials user exception. Give credit to the creator. Include the source (book or website etc) that the image was copied from and the name of the creator if available. If you would like to use an artistic work -- for example an architectural drawing -- that is not part of larger work (exists alone and is not part of a book or article) use of the image does not fall under fair dealing. Please contact the copyright owner for permission to copy and re-use. For content from websites your copying may meet the requirements for the educational exception to copy content from the internet (see the websites tab on this box). It is for educational or training purposes. It is a legal, commercial copy. It takes place on the premises of the educational institution. The audience is students and instructors. This provision may not apply to a performance at an off-campus venue that is not at an educational institution. A SOCAN license for music performance may be obtained for events that do not meet this criteria. Check with SOCAN or your Campus Library, for more information. For social, fundraiser, or non-educational events, a public performance rights licence is required to show films. Audio Cine Films and Criterion Pictures provide various licencing options such as one-time screening, annual performance, etc. Please contact your Campus Library if you would like more information. NSCC has licensed access to high quality streaming video collections. Faculty, staff and students can access these collections through the library website. The website content is posted by or with permission form the copyright owner. The content is not protected by a digital lock -- for example password protected access to content. A notice must be more than a copyright symbol or an all rights reserved statement or standard disclaimer. You give credit for the copied content and include attribution to the website, and include creator names if mentioned along with the url. Important Note: This exception does not apply if the educational institution or person acting in their educational role knows or should have known that the work or other subject-matter was made available through the Internet without the consent of the copyright owner. In other words, if you suspect the content is not a legal copy don't use it. (b) restricts the doing — with respect to a work, to a performer’s performance fixed in a sound recording or to a sound recording — of any act referred to in section 3, 15 or 18 and any act for which remuneration is payable under section 19. Fair Dealing is the most robust users' right for using material for an educational purpose. Evaluate your proposed use of web-based content under fair dealing first. If your use does not fall within fair dealing evaluate under the Education Institution right to use work available from websites. Reserve Readings (or Reserves) are high demand materials that you, the faculty member, identify as useful for students in a particular course. These materials have short loan periods to ensure students in your course have fair and equal access to the resources. You can put materials on reserve for 1, 2, 3 or 24 hour loan, or on 2, 3, or 7 day loan. What can go on Reserves? You can place original work (i.e. books, journal issues, or DVDs); links to electronic resources (such as full text journal articles) in the Library's licensed databases; or copies of work that complies with NSCC’s Fair Dealing Policy or where permission has been received from the copyright owner. Books, journals, videos, documents and other materials owned by the library or from your personal collection. 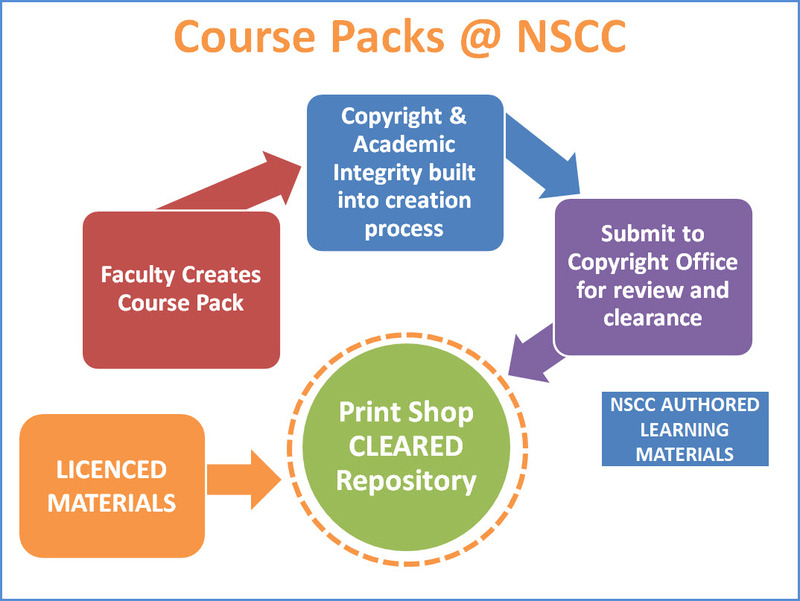 Materials for which you or NSCC holds the copyright (i.e. lecture notes, presentations). Student Coursework, but only under the conditions outlined below. Note: Complimentary or publisher review copies cannot be placed on reserve. 4. A complete citation identifying the source of the document must be provided on all photocopies, along with a clear copyright statement. This copy was made pursuant to the Fair Dealing Policy of NSCC which may be found at http://subjectguides.nscc.ca/copyright/fairdealing. The copy may only be used for the purpose of research, private study, criticism, review, news reporting, education, satire or parody. The use of this copy for any other purpose may require the permission of the copyright owner. 8. the electronic copy is maintained with access restricted to students enrolled at NSCC and faculty. Student coursework is also protected by copyright and may only be placed on library reserve with the permission of that student. Faculty are required to obtain the student’s written consent to have their material placed on reserve and must remove the student’s name and student ID number from the coursework. Any additional personal information contained in the coursework must be identified by the student and removed at his or her request. Contact your campus Library staff if you need material from another Novanet Library. Most Novanet libraries support lending their materials to NSCC libraries for Reserve collections. Each request is treated individually and Novanet libraries may exercise the option to not loan their materials. Do not copy workbooks or other consumables unless they have a CC license. Copying, scanning, or printing pages from products sold as a workbook intended for one-time use is not allowed. Workbooks and exercise books are intended for one time use, with students' answers written directly on the book's pages. 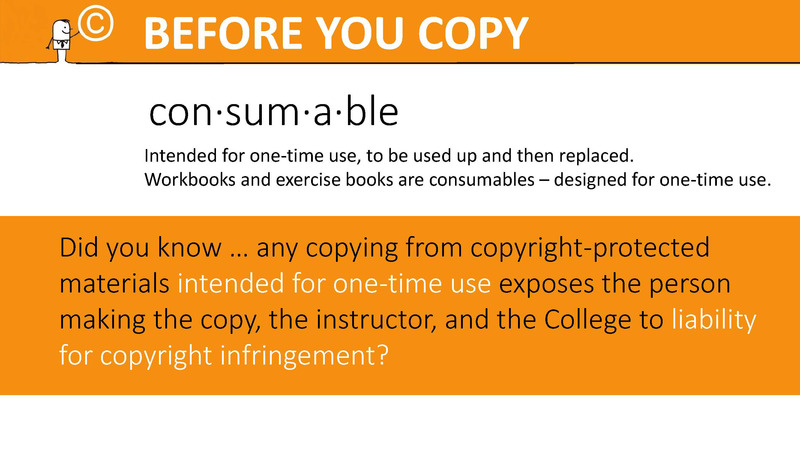 Any copying from materials intended for one-time use exposes the person making the copy, the instructor, and the College to liability for copyright infringement. This prohibition does not apply to reproducibles or materials with a Creative Commons (CC) license. A reproducible is not intended for one-time use, but is sold or provided with the rights holder’s authorization to reproduce it for educational use. Teaching and learning resources with Creative Commons (CC) copyright licenses like Open Educational Resource (OER) can be freely shared, copied, reused, and in most cases revised and adapted. For more information on OERS go to the NSCC Guide on Open Educational Resources (OERs). 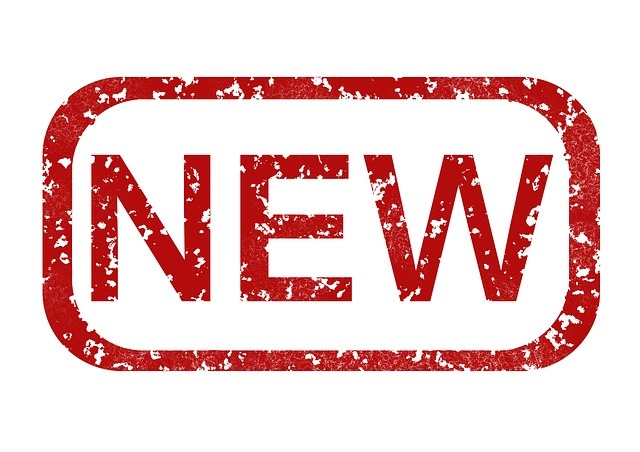 NSCC has a new Course Pack Repository accessible from the OurNSCC School web pages. The repository provides quick access to the most recent, copyright approved version of course materials for your programs for ease of sharing, printing and uploading to D2L. The copyright detail section of the Print Services Order Form does not have to be completed for materials in the cleared repository. This information was submitted and documented as part of the clearance process. NSCC Open Textbooks can be accessed on the NSCC OER Guide. If you have any questions about the Course Pack Repository or are interested in determining if your materials are eligible for inclusion, please contact the Copyright Office at copyright@nscc.ca. Use the Print Services Order Form. Faculty Name, Course name, Course code, Number of students, School, Campus, & Semester. Want to create instructional materials that are truly accessible? 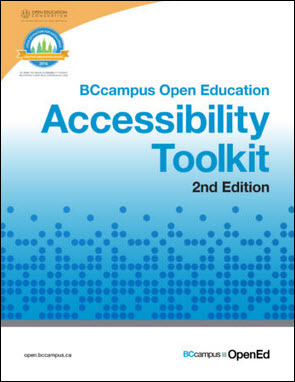 This is a practical guide for creating accessible content. Plagiarism1 is presenting, in any format, someone else’s ideas, presentations, writing, artistic work, or creations, whether verbal, print, structural, design or electronic, in whole or in part, as one’s own, by failing to credit the source. Plagiarism can be intentional or occur through carelessness. Model academic integrity for your students. If you require your students to use a specific citation style, use the citation style in your instructional material. A citation style provides a standardized way to provide attribution. The style defines what information is included in the reference and how the information is ordered and presented; punctuation and formatting rules are defined. Brief in-text citations are placed in the text in parenthesis. Each in-text citation is linked to an entry in the reference list. Notes and Bibliography system. A raised superscript number is placed in the text. The number is connected to numbered footnotes placed at the bottom of the page. The sources are also listed in a separate bibliography. Academic integrity is a fundamental value in an academic community devoted to the "creation, preservation, and dissemination of knowledge" (Yale College, 2015, para. 1). At NSCC, it is essential that students, faculty and staff acknowledge the contributions of others in their own work by properly documenting their sources of information. Discovering how to use others’ work to advance your own is a key part of learning; even the greatest scholars build on their predecessors’ achievements. Understanding how to incorporate others’ points into your own arguments, and how to acknowledge them properly, is one sign of maturing scholarship (Yale College, 2015). 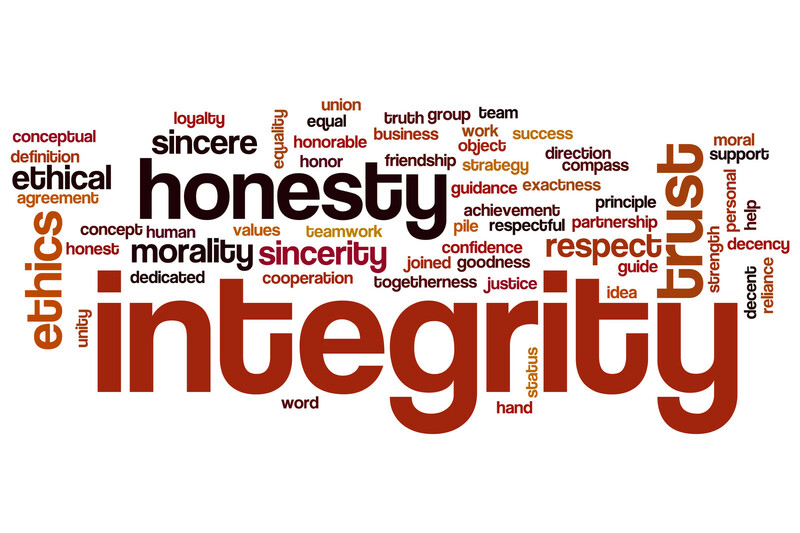 A guide to academic honesty and integrity at NSCC.